Born and raised in Omaha, Nebraska. 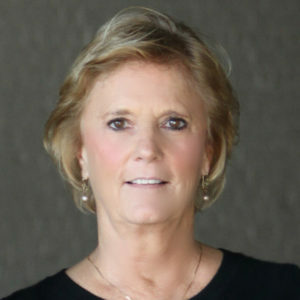 Ann Mellen started with M’s Pub in 1980. Her parents bought it from Mary Vogel, the original owner, in 1979. She started as a book keeper and eventually bought the restaurant from her parents in 1984. On a typical day, after doing her office work, Ann can be found helping in the restaurant in any aspect needed. Being a part of M’s Pub for over 3 decades she still loves the day to day operations. She was the Restaurateur of the Year in 2003. She was an active member of Share Our Strength for many years. When not at the Pub, Ann is typically riding her horses, traveling and scuba diving. She enjoys a good book while relaxing at home as well.